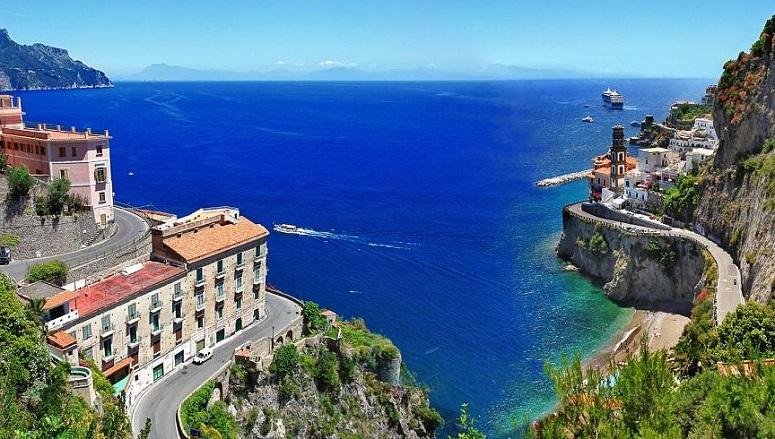 The Amalfi Drive (formally Strada Statale 163) is the conventional name of a stretch of road which runs along the stretch of the Amalfi Coast between the southern Italian towns of Sorrento and Amalfi. The road was originally built by the Romans. 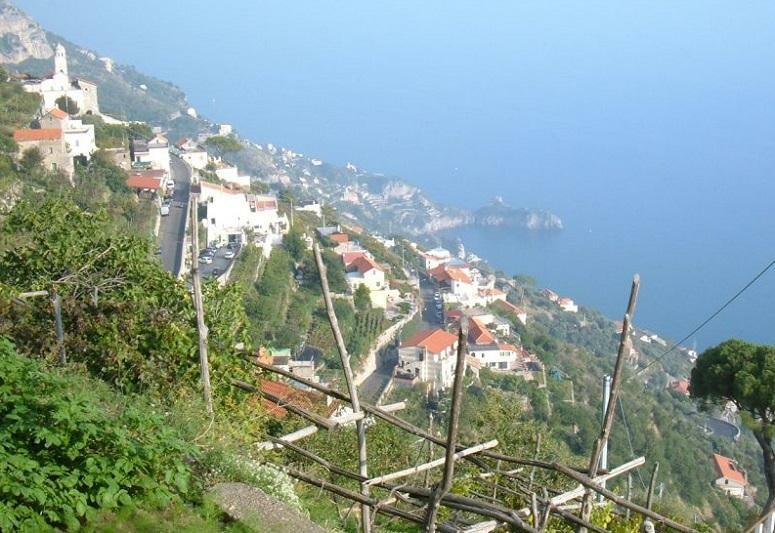 The drive between Salerno, at the southern base of the peninsula, and Positano follows the coast for about 80 km (50 mi). 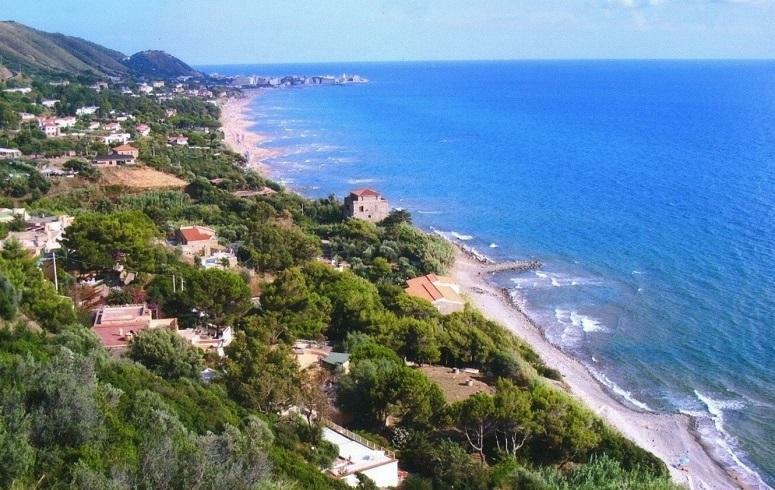 For the greater part of its route, the road is carved out of the side of the coastal cliffs, giving spectacular views down to the Tyrrhenian Sea and on the other side up to the towering cliffs above. 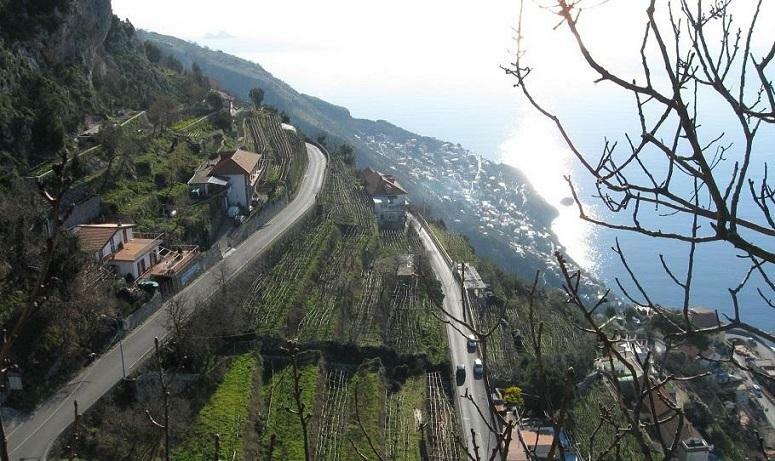 The road passes through the village of Positano, which is built on the side of the hill. 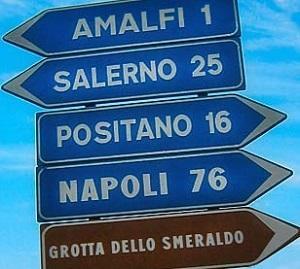 The ‘Divine Coast’ extends from Positano in the west to Vietri sul Mare in the east. 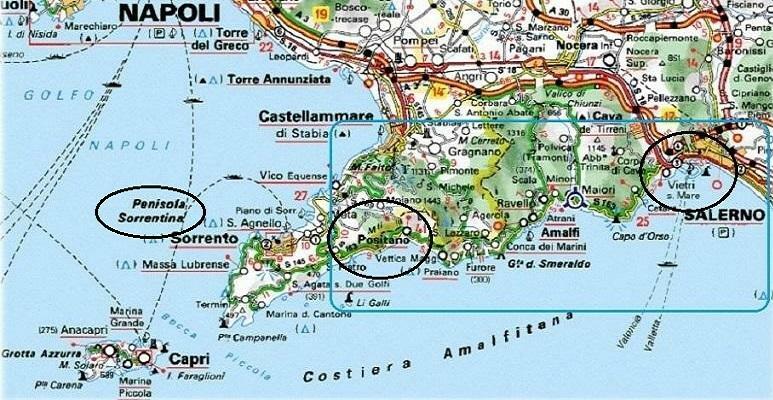 We are now on the other side of the Sorrentine Peninsula, on the fabled coast of Amalfi, another splendid jewel on this Campanian coastline. Here, once again, nature has created a fantastic and utterly unique succession of enchanting landscapes, which defy the power of language to describe. The rural areas show the versatility of the inhabitants in adapting their use of the land to the diverse nature of the terrain, which ranges from terraced vineyards and orchards on the lower slopes to wide upland pastures. 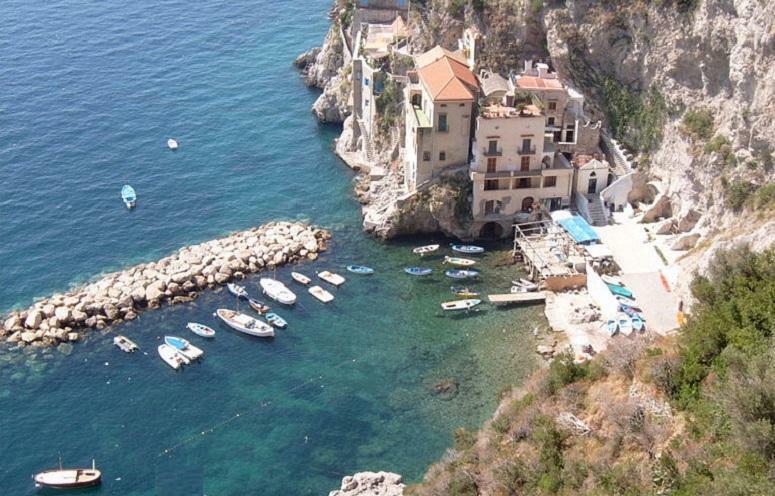 Known as the Divine Coast, the Amalfi Coast as well as the Amalfi Drive, this spectacular coastal stretch has attracted royalties and celebrities for decades. Its nature is still well preserved and its villages, perched on high rocks, and cascading down mountains into the sea, are all very interesting and each has its own peculiarity. 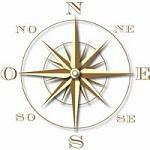 An area of great physical beauty and natural diversity where new marvels await to be revealed behind every bend. Positano the “vertical town”, is the first town that we meet coming from Sorrento . A stop at a terrace is a must in order to take a picture of the city from the top. Its winding streets, flanked by white coloured architectures embellished by enormous bougainvillea flowers are so beautiful that it seems to be watching at a canvas. Heading towards Amalfi, the small village of Praiano offers us the opportunity to see one of the most peculiar artifacts: a presepio. 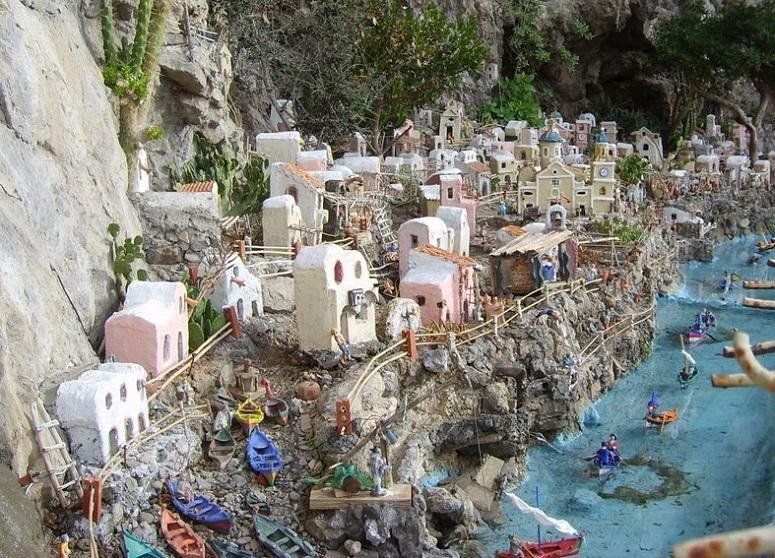 Made of concrete, it was built inside a cave facing the road and it represents a miniature of Praiano . 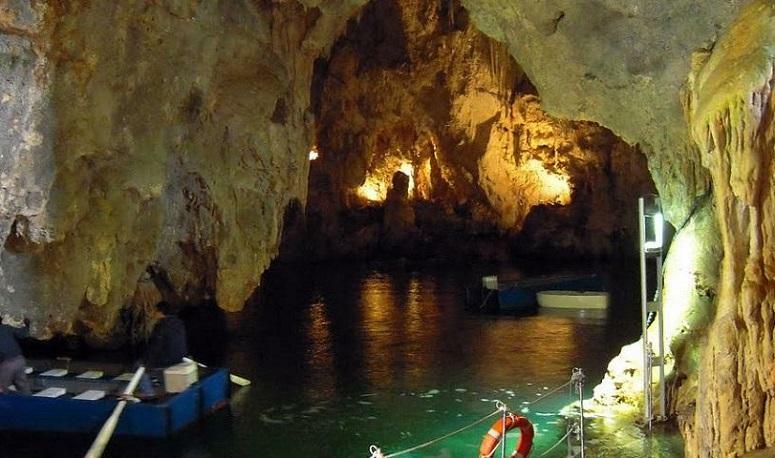 Continuing our journey towards Amalfi, we will meet another of those very famous Amalfi coast spots: Conca dei Marini and the mesmerizing Emerald Grotto, a cave which is known for its beautiful emerald coloured water. Conca dei Marini became famous also for the Santa Rosa Monastery where the delicious Santa Rosa sfogliatella was first made. 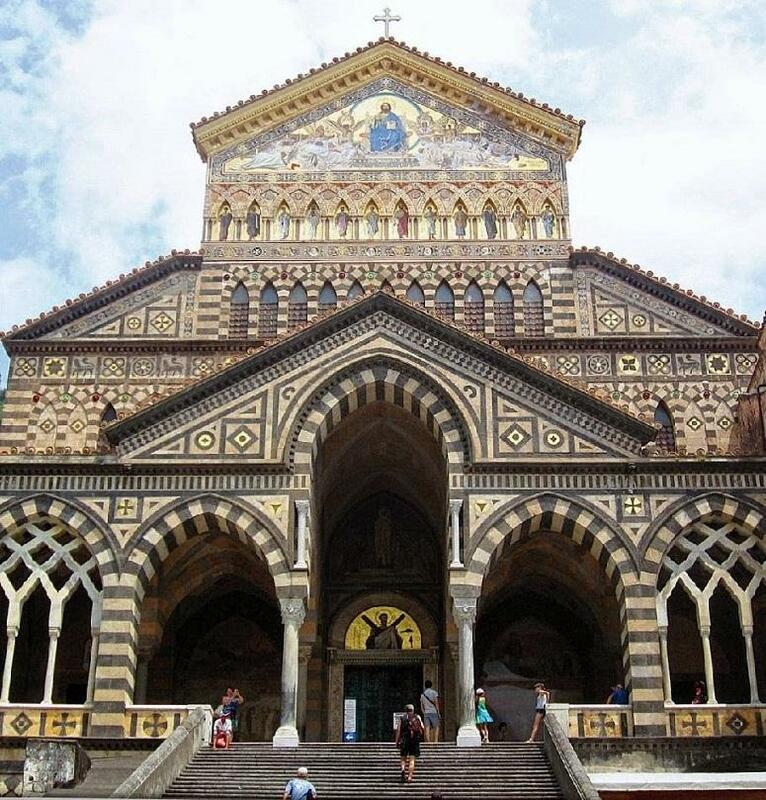 Ten minutes drive from Conca, Amalfi welcomes us with its spectacular cathedral, located on a long staircase, and decorated by mosaics and frescoes of the 13th century. The Paradise Cloister attached to the Cathedral is enriched by a fresco of the 13th century made by Pietro Cavallini. 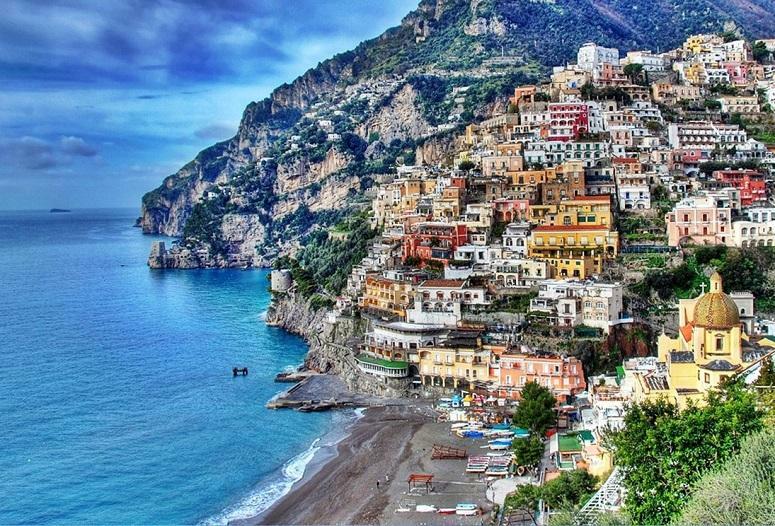 Amalfi is characteristic for its maze of narrow alleys and staircases which starts from the main street heading towards the hills, on both sides of the road. Strolling along those narrow pathways is a real adventure. We will then head towards the famous “Painted town” known as Furore, with its hidden enchanting "fiordo". 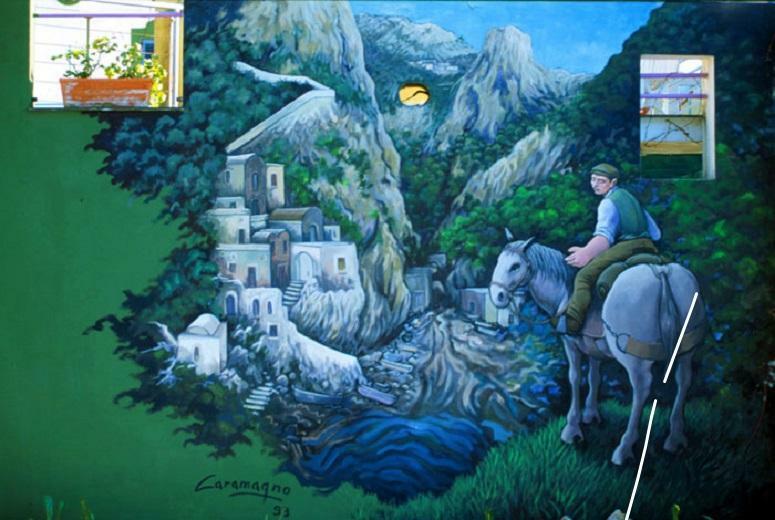 The "painted" town is dotted with murals by famous contemporary painters . 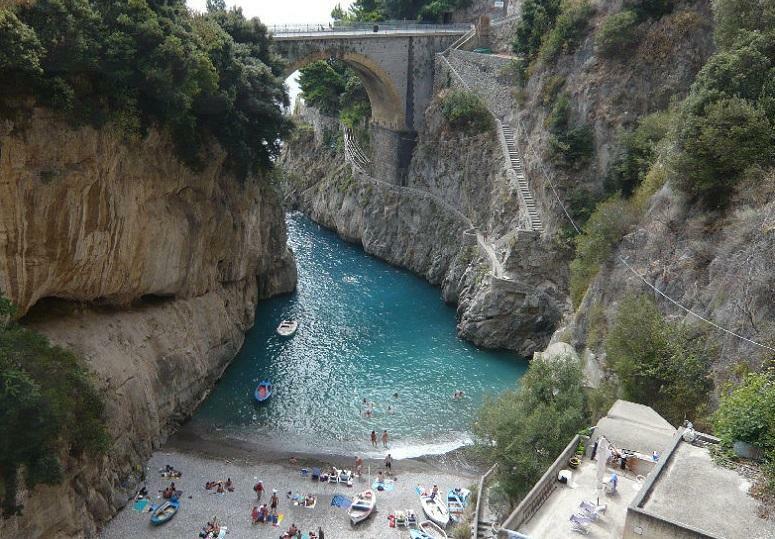 From the winding streets of Furore , the sweeping view on the Amalfi coast is simply a breathtaking experience . 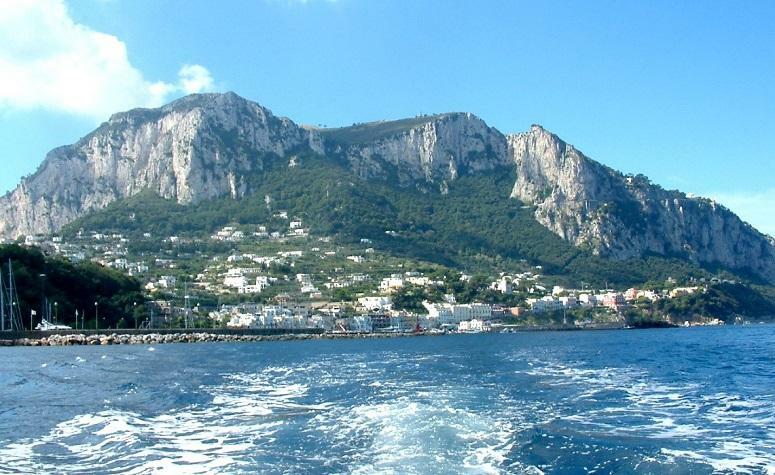 ...the Capri island at the end of the Sorrento Peninsula. all located along a stretch of road among the most scenic in the world, offering the tourist strong emotions, pleasant memories and a burning desire to return to this little piece of heaven. Nature itself would probably never have been able to create such an impression if, throughout the centuries, man himself had not been inspired to mold the land with respect, according to universal laws of ethics and esthetic that are universally recognized and shared. turistici locali in coerenza con una strategia di sviluppo tesa a valorizzare le potenzialita' del propio territorio.